Let’s start from zero-based students. For zero-based students, I pay more attention to the development of Chinese listening and speaking ability, characters recognition and typing ability. When their Chinese accumulated to a certain degree, I will give them some reading materials, including articles and authentic materials. For instance, I will show them business cards after I teaching them expressions about Name, and show them the menu of a juice shop after I teaching them words about Fruits… In my opinion, reading ability is an ability of student to access information through reading. I always prepare auxiliary materials (textbooks and workbooks) as reading and listening materials for my class. For students at the elementary level, I would use some picture books, such as “David goes to school”. Most of my students are girls. They love cute picture books. In addition, I will introduce them some simple, culture-related materials, such as three major types of Chinese painting: landscape painting, flower and bird painting and figure painting. 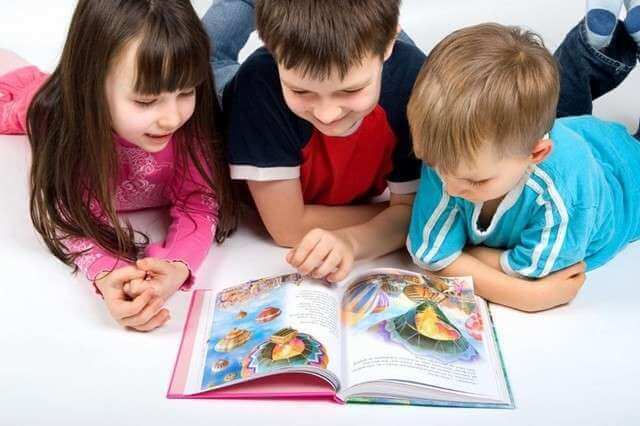 Interesting and easy-to-learn, these materials help them acquire new knowledge and improve reading ability as well. For students at the intermediate level, I usually choose idiom stories and articles in Slow-Chinese. In addition, I also translate some short videos of the hello China series on YouTube. As a supplement, reading always revolves around the text. As to the development of listening ability, I think output exercise is very important. We should give kids more chances to speak and write. For example, I always ask my students to repeat what they’ve heard. In the retelling process, students will be encouraged to first sum up bullet points and then add details, so that they will improve in expression and grammar.It is very easy for me to teach students at Advanced level. They are able to understand most of the reading materials. So the assessment after reading is necessary for them. In addition, you can also choose some specialized reading materials for them. From my own language learning experience, I can tell you that the listening and speaking ability can be improved through reading and writing. So I always teach my students to use Chinese to read and to get information.